Thai Foon is a popular Mauritius Thai food restaurant located in Grand Baie serving excellent Thai cuisine. Maintaining the Thai authenticity standards, Thai Foon uses the fresh ingredients imported from Bangkok, an original Thai chef and exquisite Thai cocktails. The menu offers an extensive mouth watering range of meats, seafood and vegetarian feasts. The services provided here are very good and friendly and at the same time very professional. Wine is adequate. Since the terrace is overlooking the street this place is a bit noisy and there aren’t nice views yet the décor is relaxing. The restaurant is decorated with wonderful wooden carvings inspiring the simplicity of Thailand. 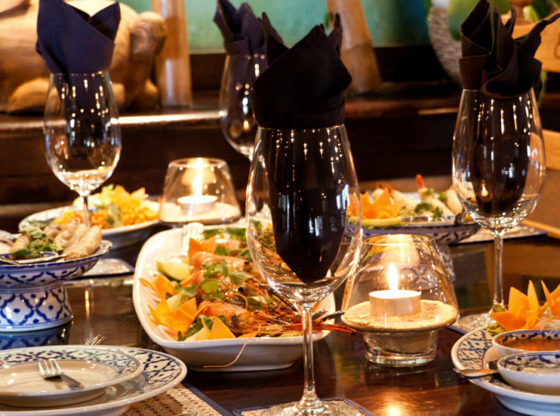 Overall it is a good place to have a nice time with friends and family while dining on some delicious Thai delicacies. Try it out if you are interested in Mauritius Thai food.